Posted by Carolyn Burns Bass in animals, memoir. MediaMonday for October 8, 2012: The New York Times Buy the Book Interview with Jeffrey Eugenides, October 7, 2012. Everyone loves a good dog story. Or so we think from judging by the numerous dog memoirs published in the last decade or so. Dogs (and other pets) are important figures in the lives of millions of people. The relationship and bond between human and pet goes far deeper than non-pet-lovers can fathom. Are dog memoirs a trend? Can anyone write the story of Spot and get a book deal? What makes a great dog memoir, anyway? We’ll ask these questions and more on Wednesday, October 10, 2012, when we discuss dog memoirs. 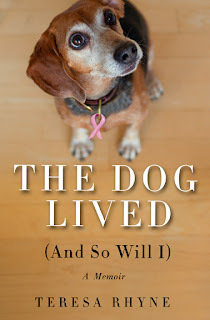 Then on Friday, October 12, we’ll chat with Teresa McElhannon Rhyne, author of The Dog Lived (And So Will I). Like the successful family law attorney she is, following her second divorce, Teresa Rhyne reordered her life into ABCDs (Alcohol, Books, Coffee and Dogs). Within that year the D would go silent when she lost both of her two beloved beagles to age and illness within months of each other. If a woman ever felt defeated, that was Rhyne in that year. Her memoir, The Dog Lived (And So Will I) begins here. A longtime proponent of pet rescue and adult dog adoptions (though some would argue “sucker”), Teresa could not say no when the local no-kill shelter called her with a beagle they’d just rescued from a terminating county facility. It was love at first sight for Teresa and love at first bite for Seamus. Bite of food, that is. Teresa tells tales of Seamus’s prodigious appetite as tall as his splendid Irish name. With her ABCDs back in place, Teresa slipped into a comfortable life as Southern California cougar with adorable new dog and cute new boyfriend. Young boyfriend. Then Seamus was diagnosed with mast cell cancer. This is when The Dog Lived (And So Will I) fully engages. Rhyne writes with humor and pathos about the year of chemotherapy and dog treats, incessant barking and neurotic separation anxiety, financial sacrifices and sacrificial love. Just as Seamus makes it successfully through the rigorous treatment, the unspeakable thing happens to Rhyne. The C in her life is devastatingly edited to Cancer when she is diagnosed with triple negative invasive ductal carcinoma—a rare and highly aggressive form of breast cancer. Not one to take a diagnosis like triple negative IDC in stride, Rhyne began a blog: The Dog Lived (And So Will I). Already a serious writer and having studied creative writing at UCLA, Rhyne’s story of Seamus cancer victory layered with the humorous, sometimes sarcastic ups and downs of her own treatment resonated with many readers. 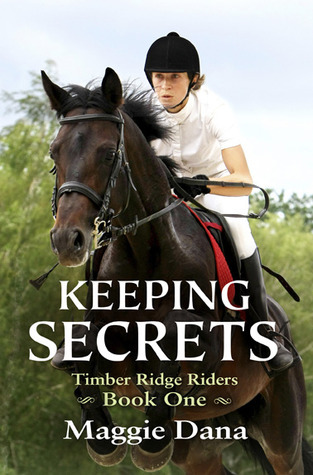 So many, in fact, that Sourcebooks picked up Teresa and Seamus’s story for the book we’re discussing with Rhyne on Friday. Rhyne’s story isn’t only about cancer, but about starting over. 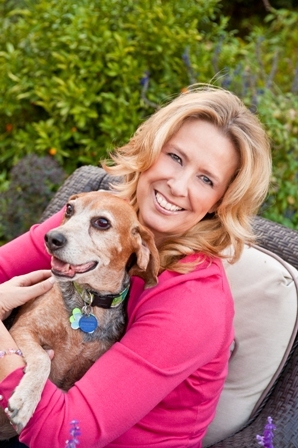 In work–during Seamus’s cancer treatments, she opened her own family law practice. In love–despite the 12-year difference in their ages and the initial disapproval of her boyfriend Chris’s family, Teresa and Chris have spun a new life together that works for the three of them. In hope–both Seamus and Rhyne are now cancer free and using their story to help raise awareness for pet adoption and cancer research. See Seamus the Famous and Teresa in the book trailer here. Follow Teresa Rhyne on Twitter: @TeresaRhyne. Posted by Carolyn Burns Bass in animals. 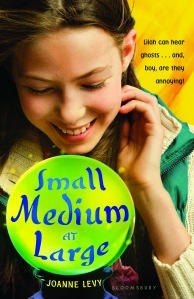 MediaMonday for August 27, 2012: Paying for Book Reviews. Source media from the New York Times and this piece from GalleyCat. The relationship between humans and canines goes back to prehistoric days. While we think of them today mostly as companions, dogs have a rich legacy as working animals that provided strength, endurance, and agility in difficult tasks. On Wednesday in #litchat we’re discussing man’s best friend and how the dog’s been viewed through literary history. 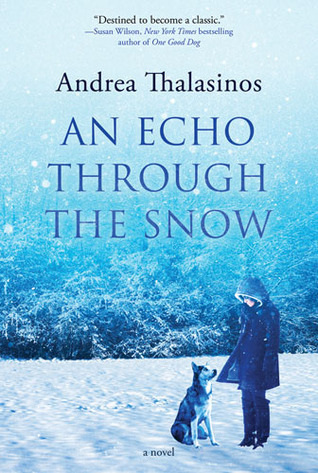 Friday’s guest host, Andrea Thalasinos, concludes the topic with a discussion of her novel, An Echo Through the Snow. An Echo Through the Snow is an inspiring story of how a single act of kindness can transform your life. 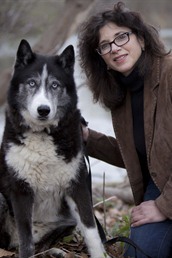 Rosalie MacKenzie is headed nowhere until she sees Smokey, a Siberian husky suffering from neglect. Rosalie finds the courage to rescue the dog, and—united by the bond of love that forms between them—they save each other. Soon Rosalie and Smokey are immersed in the world of competitive dogsled racing. Days are filled with training runs, the stark beauty of rural Wisconsin, and the whoosh of runners on snow. Rosalie discovers that behind the modern sport lies a tragic history: the heartbreaking story of the Chukchi people of Siberia. When Stalin’s Red Army displaced the Chukchi in 1929, many were killed and others lost their homes and their beloved Guardians—the huskies that were the soul and livelihood of their people. 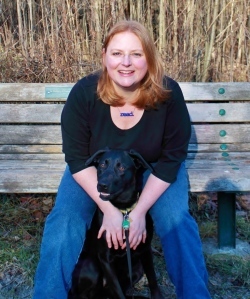 She remembers telling a close friend after graduation, “Whew, glad that’s over, now I can write fiction and get a dog!” Currently, Andrea lives in Madison Wisconsin where she is working on her second novel. Follow Andrea Thalasinos on Twitter: @gorkyandrea. 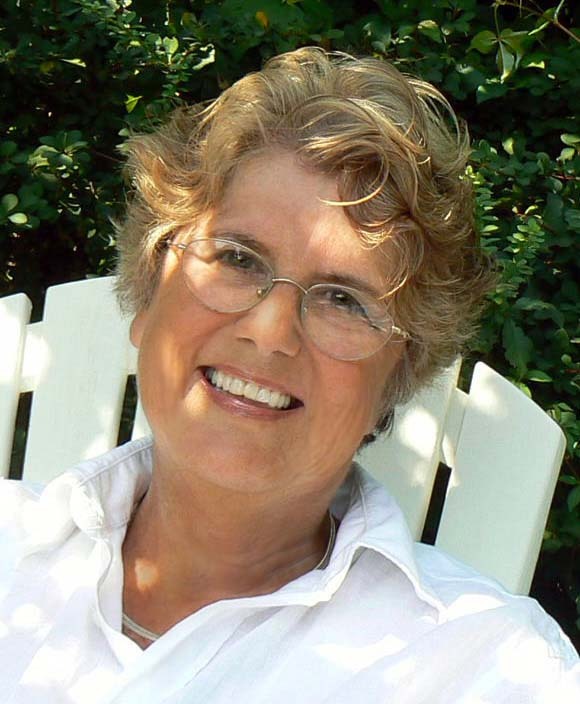 Posted by Carolyn Burns Bass in animals, biography, narrative nonfiction, non-fiction. What do Jacqueline Kennedy Onassis, Mahatma Gandhi, Joe DiMaggio and Rin Tin Tin have in common? Each of these legendary figures has a new biography published in 2011. Humans are curious creatures. We want to know about the world around us and that world is populated with characters of glamorous intrigue, humanitarian insight, physical prowess, and doggone greatness. Biographies crack the curtains and allow us to peer into the world of fascinating people and legendary characters. This week in #litchat we’re discussing Legends to Life. On Friday, September 30, #litchat welcomes Susan Orlean, the award-winning author of numerous nonfiction narratives, including The Orchid Thief, the book that inspired Charlie Kaufman and Spike Jonze’s brilliant film, Adaptation. 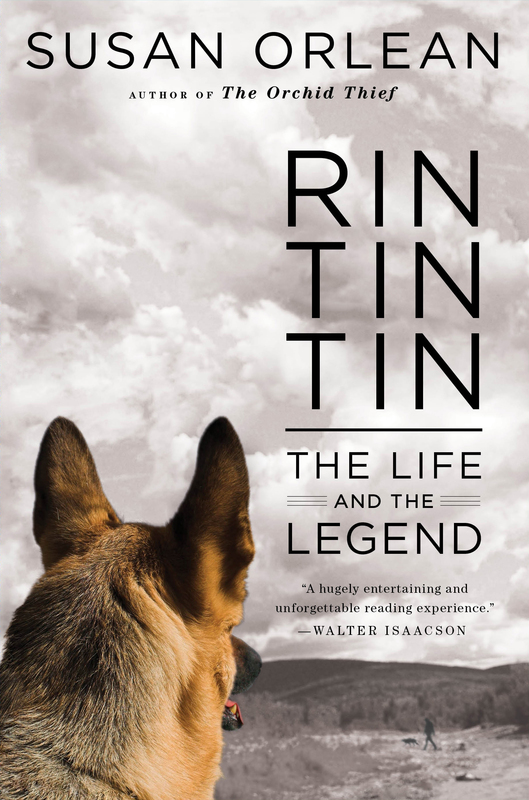 Her most recent book, Rin Tin Tin, is a biography of the legendary canine who captured hearts around the world during the early years of film and held them through the emergence of television, and beyond. Orlean’s personal fascination with Rin Tin Tin began began with the forbidden, a plastic figurine of Rin Tin Tin shelved in her grandfather’s office. An animal lover and pop culture flâneur, Orlean digs into the legend behind the dog to discover that Rin Tin Tin is more than just a legend, he’s immortal. Kind of. The original Rin Tin Tin, a German shepherd puppy found by American soldier Lee Duncan in a bomb-blasted kennel in France died at the age of 13 years. Through Orlean’s meticulous research and savvy observation, we meet an extraordinary dog and his best friend, the man who could never let Rin Tin Tin die. Fused into the story of the man and the dog is the fascinating history of film and television, the development of modern pet culture, the near obsessive devotion to keeping the legend and the bloodline of Rin Tin Tin alive and the legal wrangling tied into it all. Rin Tin Tin is not a book about a dog, but an epic tale about foundlings and heroes of different shapes and sizes. Susan Orlean has been a staff writer for The New Yorker since 1992, and has contributed articles to Vogue, Rolling Stone, Esquire, and Outside. Originally from Cleveland, she graduated from the University of Michigan in Ann Arbor, and lives with her family and animals in upstate New York as well as Los Angeles. 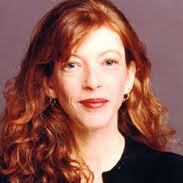 Follow Susan Orlean on Twitter: @SusanOrlean.